On July 5, 2012 a Colorado Springs Police Department patrol supervisor was northbound on Weber St, at Boulder St, entering the intersection on a green light. A small Saturn sedan driven by an 18 year old woman was approaching the same intersection eastbound. The Saturn apparently ran the red light and collided with the patrol vehicle sending it to the Northeast corner of the intersection as it rotated on its vertical axis nearly 180 degrees. The front right passenger of the Saturn had to be extricated from the vehicle by Colorado Springs Fire Department and was being treated at a local hospital. The driver of the Saturn and the patrol sergeant suffered minor injuries. The 18 year-old driver, was arrested for traffic related charges, including Driving Under the Influence. Victims of drunk driving accidents are “victims” in the truest sense of the word. 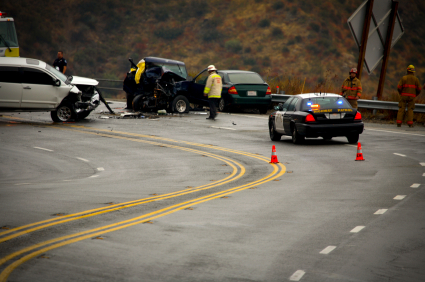 From a victim’s perspective, drunk driving accidents happen suddenly and are rarely avoidable. Even police officers driving marked patrol cars are not spared from this phenomenon. Thankfully, Colorado laws provide relief to victims that suffer injury as a result of drunk driving. Of course, drunk drivers can be held criminally liable for their actions. The primary statute that addresses alcohol related driving offenses is Colorado Revised Statute (CRS) § 42-4-1301. In cases involving serious bodily injury, drunk drivers are also routinely charged with the felony of Vehicular Assault. Victims can rest assured that drunk drivers are punished in the criminal system through traditional means such as court ordered jail/prison, probation, alcohol classes, and community service. Victims can also recuperate certain expenses through the criminal system. CRS § 18-1.3-603 requires a drunk driver to pay “restitution” to a victim and most prosecutors make timely payment of restitution a condition of criminal probation. However, the criminal restitution statute does not recognize damages for physical or mental pain and suffering, loss of consortium, loss of enjoyment of life, loss of future earnings, or punitive damages. A victim must look to the civil system to obtain a comprehensive award for damages. THE GASPER LAW GROUP, PLLC maintains a team of litigators dedicated to recovering just and comprehensive awards for victims of automobile accidents.